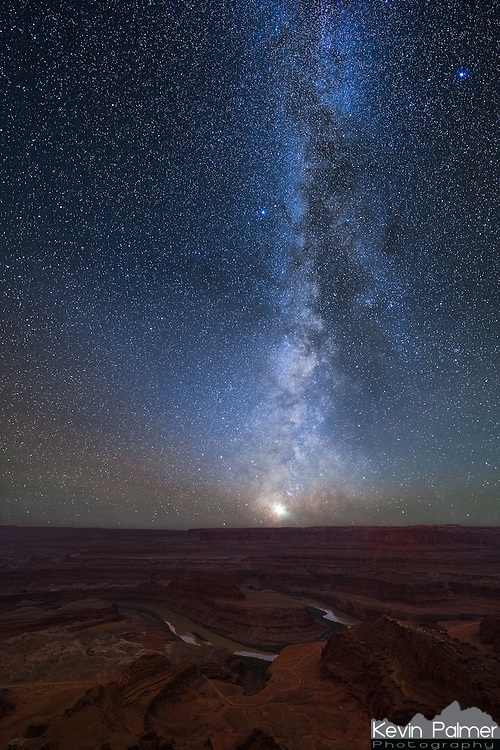 Thousands of stars forming the milky way galaxy are seen above a deep canyon in Utah. The Colorado River flows 2000 feet below the rim of Dead Horse Point into Canyonlands National Park. The bright light on the horizon is the planet Venus. There is no other object in the night sky brighter than Venus except for the moon. The clear weather, dry air, and dark skies make this area one of the best in the country for stargazing.